An easy to use, low odour waterbased contact adhesive. 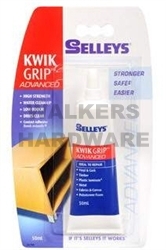 Suitable for bonding porous and non-porous surfaces and ideal for bonding flat, close fitting surfaces. Forms a durable, heat and water resistant bond. It is safe to use - it is non-toxic and cleans up easily with water.